Ms Nyker is the Chief Executive Officer of BioTherm Energy, the leading African renewable energy independent power producer. Under her leadership, the business has grown from 4MW in PPA’s to over 450MW’s of secured PPA’s in the last five years. Recently, BioTherm has expanded its development activities to build a pan African business by winning projects in Zambia, Burkina Faso and Ghana, and to also focus on C&I and off-grid power solutions. Prior to BioTherm, Ms Nyker led the direct investment arm of the PCG Clean Energy Fund. 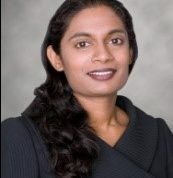 She has also worked for Booz Allen where she was instrumental in structuring and investing a clean energy investment fund on behalf of a Middle Eastern National Oil Company. She also worked Lehman Brothers in London, as well as Brait Private Equity in South Africa. Ms. Nyker holds an MBA from London Business School, where she was a Merrill Lynch Scholar and is a World Economic Forum Young Global Leader. More recently, she was listed in the Power Elites 2017. "As an offspring of two teachers during Apartheid South Africa, the importance of education was always at the forefront in my life. My father used to say that under the conditions we were living, education was one aspect of our lives that could not be stripped away. And that is why good teachers are so important. They are truly invaluable in moving the needle away from the inherent economic and social inequalities of society by sparking the intellectual and imaginative curiosity in our youth. This prize honors what is exemplary in teachers who are going that extra mile to build a better society for our future generations. "